Mac Tech 2013 in LA. The great assembly of IT nerds, geeks, developers and Mac devotees. 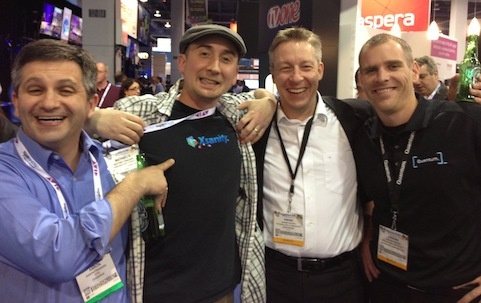 Xsanity meetup at NAB 2013. I am 2nd from the left. Aaron is to my left. André to my right, and Jordan on the far right. Go Xsan!